There's something addictive about good horror - or scares you to the end of your wits, yet is compulsive that you keep glued to the edge of your seat. 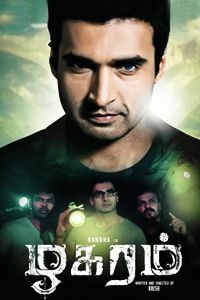 And here's Ashwin Saravanan set on one such mission, 'Maya'. The posters and music border on spook; is the movie spooky too? You bet! Vasanth (Aari) paints for a horror series in print, and he is carried away by the upcoming episode. 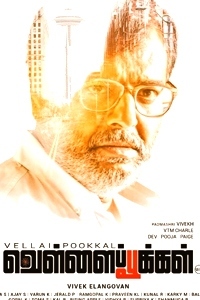 At midnight, Vasanth's friend, Kamal is intrigued to call out to the spirit, which the writer had prohibited his audience from following. Although this ends in a surprise, they are not prepared for what follows. After trashing all the signs based on science, he is in for a rude shock when he spots a woman jumping off the terrace of a building, just like how the prime character, Maya did. Further, his own friend dies in the same manner, after having visited the mysterious Mayavanam. Adding to all the mess is his Ram (Amzath), Vasanth's boss and also the husband of Vasanth's ex lover. Apsara (Nayanthara), on the other hand is a struggling actress, a single mother with a lot of debts and a toddler to handle. There is a common thread that links the lives of these two - the lore of Maya's, that she haunts to claim her baby, who was separated from her, at the mental asylum. Will the spirit of dead Maya claim her baby back? Ashwin hits the bull's eye from the first scene. Although most part of both the stories is predictable, Ashwin has guided it along such that the interest is intact nonetheless. The movie has plenty of scenes that make you jump out of your skin, thanks to Ron Yohann's taut notes. Sathyan Sooryan deserves special mention, for helping complete the horror in its absolute clarity. There are a plenty of characters and two different stories for the most part, in the movie which takes a while to settle down in the psych. However, clarity in everyone's acting, sets the threads and characters apart. Nayan has a very strong role in the movie, but only a few dialogues. This clause holds good for all the lead characters, since most of the story is reliant on music and, most importantly, expression. Easily, 'Maya' will be a milestone in Nayanthara's career. The young beauty who has almost always donned romantic roles, has emoted her best in this movie. The scene where she comes seeking a role to act, is a standalone classic. For Aari, the role is that of practical man, with a not-so-practical lifestyle. However, he has carried the role well enough. Amzath has performed well in the supporting role. Robo Shankar plays a small role in the film, which makes for the only track on the lighter side. There's a lot to this movie to credit worth to, and here are a few. When something is so perfect, all the smaller matters start gathering light. That way, here are a few portions, which are plain normal in the movie. 'Maya' is definitely one of the most spooky horror films yet. But despite all the good effort, the film does iron out and fall straight in the face as a drama, in parts. Nevertheless, 'Maya' is sure to frighten you and keep you nail-biting entertained throughout.